Betsy began practicing yoga regularly in 1991 and teaching in 2001. Her curiosity and search for wisdom lead her to many teachers who have informed her practice and her teaching. 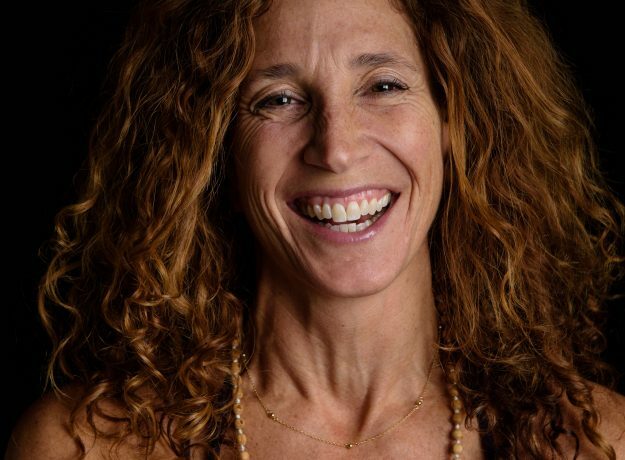 Betsy holds thousands of hours of yoga training, education, and certification. She was introduced to her teacher, YogaRupa Rod Stryker, and ParaYoga, in 2005, is an initiate in the Sri Vidya tradition, and a Level 1 Certified ParaYoga Teacher, as well as accomplishing a certification as a Four Desires Trainer. Betsy is also a certified Holistic Health and Wellness Coach through the Institute for Integrative Nutrition.These practices and knowledge continue to inform her teaching and mentoring, as well as positively affecting and guiding her daily life. Betsy is a committed teacher and guide, and an eternal student. She approaches life as a seeker; with curiosity and a beginners mind. Betsy is married to an amazing man and has two teenagers who continue to remind her to live in the moment. She loves to spend time with her family, and encourages community whenever possible. She loves to travel, spend time in nature and in the outdoors as much as possible. She loves to sing, (moonlighting as a back-up singer in a cover band! ), dancing, cooking, and laughing with friends. Betsy has a serious appreciation and love for high fashion (what?!) and interior design and feels that these things can live harmoniously in a yogic lifestyle. Betsy founded Amrita Health and Wellness in 2016 as the culmination of her years of study and practice. She utilizes her knowledge of yoga, wellness theory, and her work with Yogarupa Rod Stryker and the Four Desires, to assist clients in uncovering their highest potential to create a life full of meaning, purpose, joy, and good health.